Although Roc-A-Fella Records helped foster the careers of Memphis Bleek, Kanye West, and a handful of other artists, M.O.P. 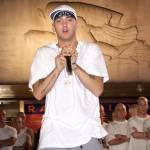 lyricist Billy Danze says the Brooklyn, New York group was skeptical about signing with Roc-A-Fella after being approached by both Dame Dash and Jay Z on numerous occasions. 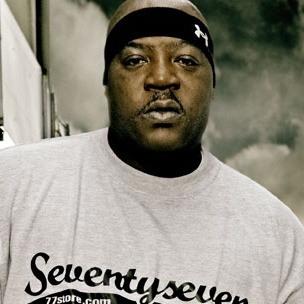 Despite being approached by the pair, Billy Danze revealed that M.O.P. ultimately ended up signing a deal with Relativity and later Loud. While speaking with Vlad TV, Billy Danze revealed that M.O.P. did find themselves signed to Roc-A-Fella at one point, but says it was at a time when the relationship between those behind the label began to fall apart. Following the Roc-A-Fella Records fallout, Danze says both Dame Dash and Jay Z individually offered M.O.P. “a room full of money” to sign with them. He explained that he felt “uncomfortable” working with one without the other, so M.O.P. turned down both offers. Billy Danze’s interview with Vlad TV can be found below.